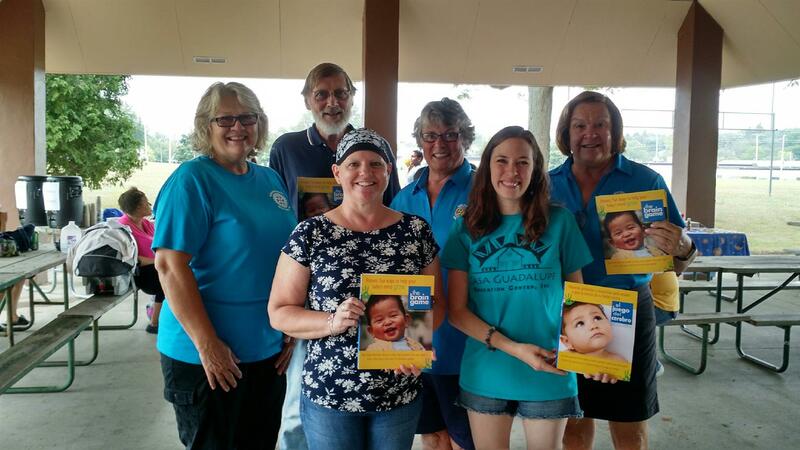 Members of the West Bend Sunrise Rotary Club recently collaborated with Casa Guadalupe and Early Head Start with a Rotary District Grant to provide Brain Games Books for area families with children 0-3 years old to guide the parents in helping their children prepare for their pre-school years. The books will be used by 80 families over the next 12 months and will also assist counselors with their home visits as discussion guides as they progress through the books. 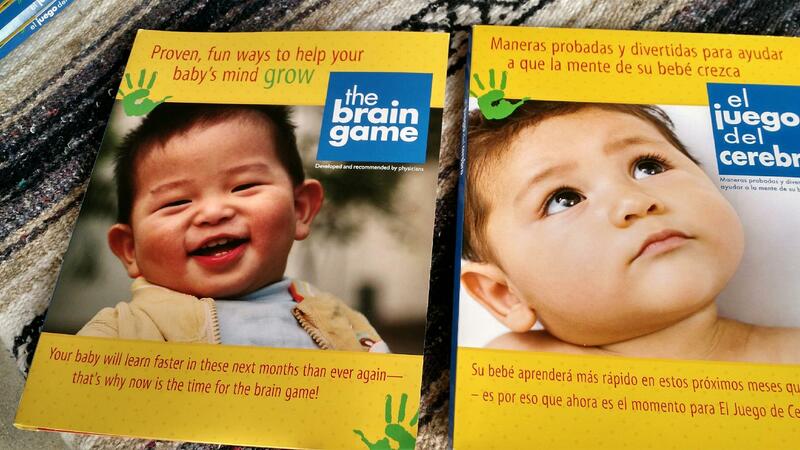 They are printed in English and Spanish versions to facilitate understanding by their clientele. The Grant was written by Phyllis Schaefer and the grant covered the cost of the books and shipping. The LaCrosse Rotary Club assisted with supplying the books. 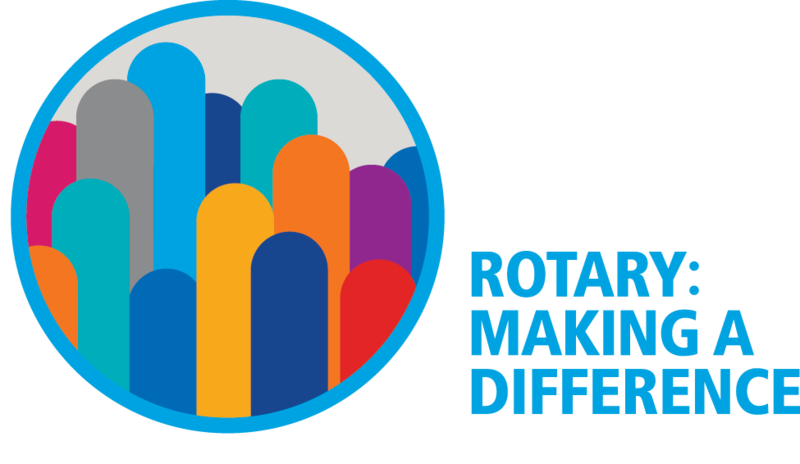 Other Rotarians will assist the Early Head Start project throughout the school year. The photo was taken at the picnic where the books were distributed. Those in the photo include: Bev Sturgeon, Noelle Braun (Casa Guadalupe Executive Director), Mary Gumm, Suzanne Skopek (Wash.Co. Early Head Start Center Director), Gary Britton, and Phyllis Schaefer.